Each to their own time, pace and ideas – that’s the Bélingard way. Périgord Pourpre – Dordogne – Nouvelle-Aquitaine region. Château Bélingard (which takes its name from the Celtic sun god Beleen) has been in the same family for seven generations, who over the years have striven to showcase this limestone-clay terroir suspended on hillsides on the right bank of the Dordogne. Passionate about wine and terroir, Laurent and Sylvie de Bosredon took over the estate in the 1980s, running the estate with the same family spirit. They immersed themselves in a trade that was brand new to them with much dedication and passion. Curiosity and openness to new things have been their creed. Careful not to ignore any new techniques (whether in the vineyard, winery or marketing), they have shaped Château Bélingard into what it is today. Laurent and Sylvie de Bosredon are strongly committed to high-quality service and environmental conservation. Château de Bélingard has therefore obtained HVE (‘high environmental value’) certification. 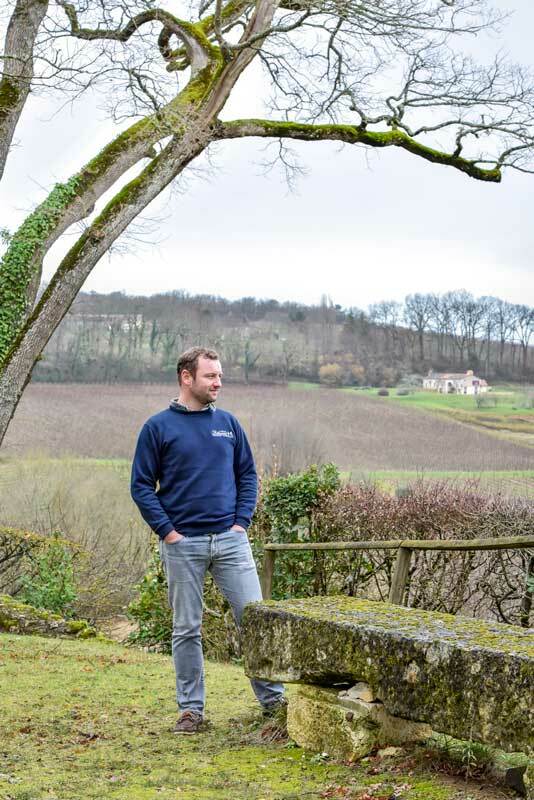 This commitment means that the chateau respects, protects and encourages biodiversity on the estate, controls input qualities (fertiliser, fuel, water, pest control products), and also limits the impact of their activity on human health and plant life. At Château Bélingard, environmentally-friendly methods are prioritised using all the possible technical developments. From pruning to harvesting, all actions (from planting to harvest) are managed in such a way as to limit their environmental impact.